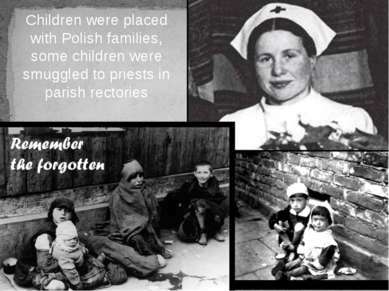 IN MEMORY OF IRENA SENDLEROWA Sendler smuggled some 2,500 Jewish children out of the Warsaw Ghetto and then provided them with false identity documents and with housing outside the Ghetto, saving those children during the Holocaust. As early as 1939, when the Germans invaded Poland, she began aiding Jews. She and her helpers created more than 3,000 false documents to help Jewish families. 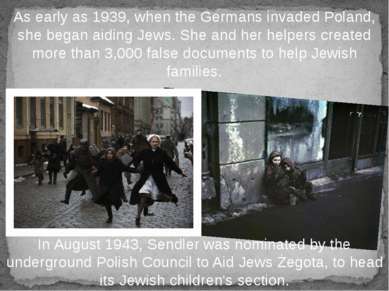 In August 1943, Sendler was nominated by the underground Polish Council to Aid Jews Żegota, to head its Jewish children's section. She and her co-workers organized the smuggling of Jewish children out of the Ghetto. 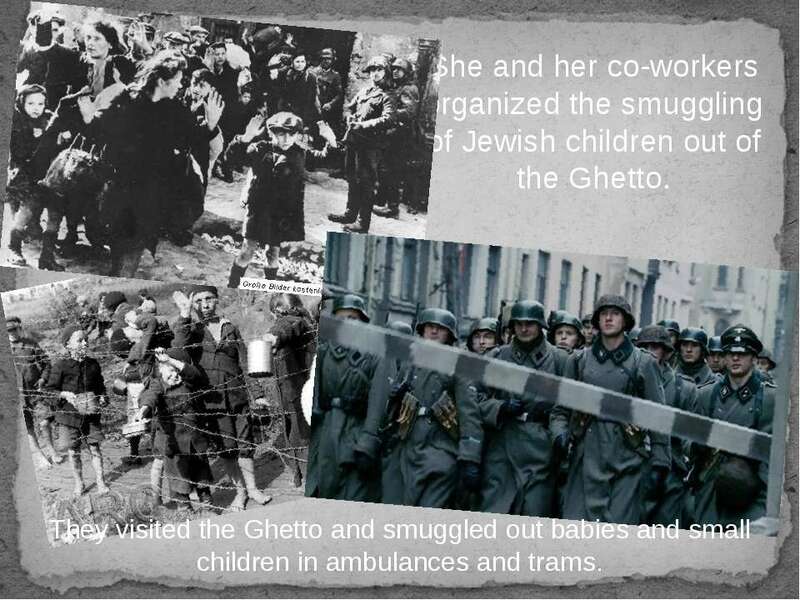 They visited the Ghetto and smuggled out babies and small children in ambulances and trams. 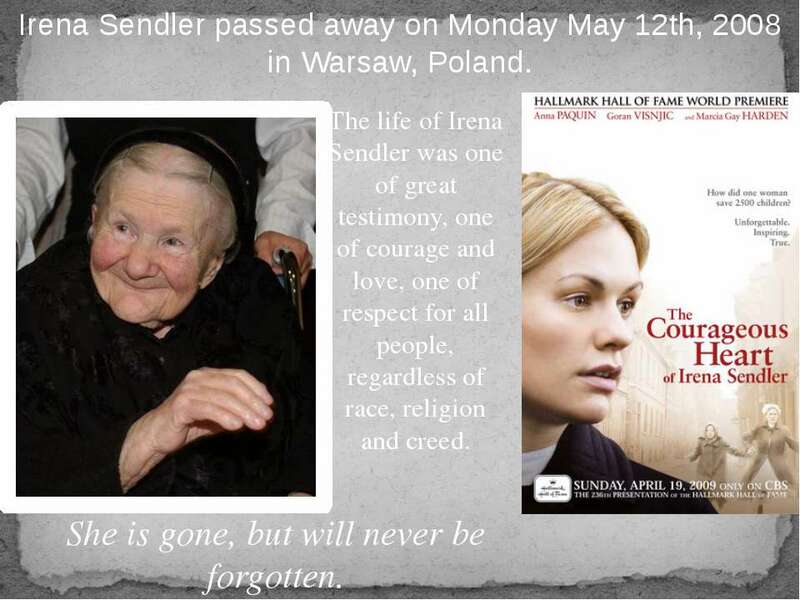 Irena Sendler passed away on Monday May 12th, 2008 in Warsaw, Poland. 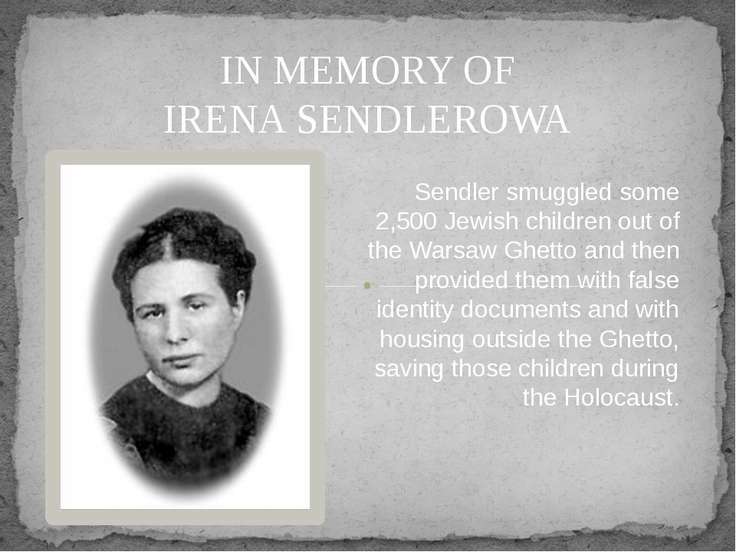 The life of Irena Sendler was one of great testimony, one of courage and love, one of respect for all people, regardless of race, religion and creed. 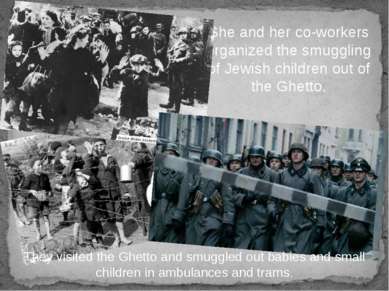 She is gone, but will never be forgotten.